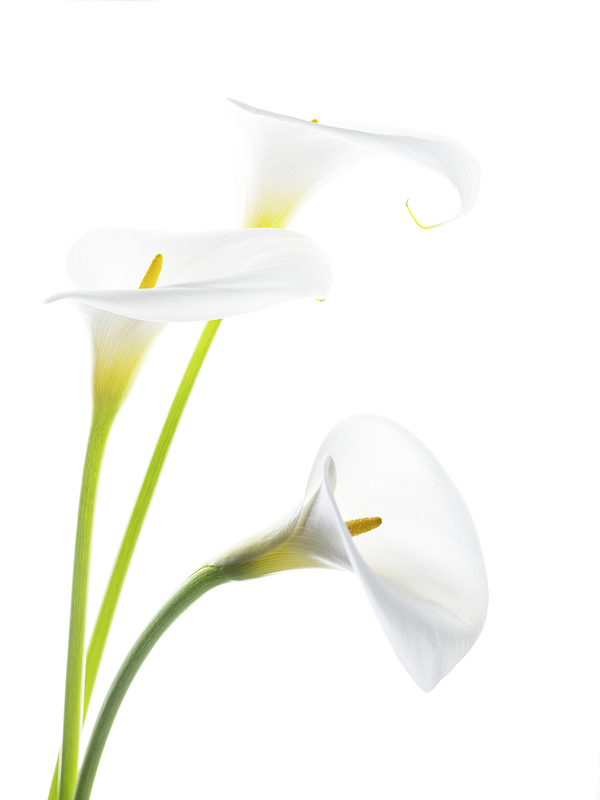 Lillies on White, 2015 Digital Image on Lustre Photographic, 914mm by 685mm. Exploring the local neighbourhood John selects those flowers or leaves that exhibit a delicate beauty or uniqueness. Using high key photographic techniques and careful arrangements brings out the beauty of nature with no distractions, resulting in a sublime series of botanicals.